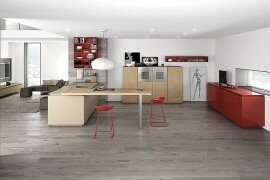 The modern kitchen is the heart and soul of the house, and it doubles as a cool gathering place for the entire family. 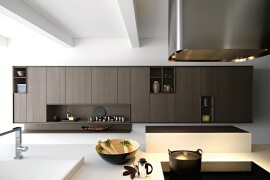 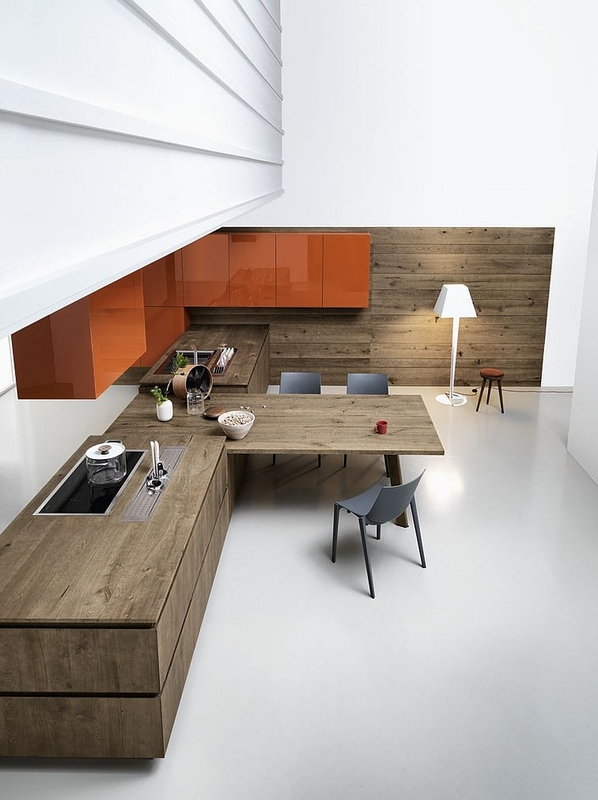 The perfect kitchen is always a blend of form, function and adaptable solutions. 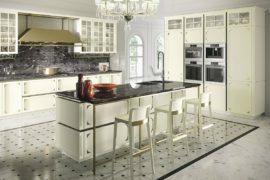 Each home has its own specific needs, and hence, there is little surprise in the ever-present desire for customized kitchens. 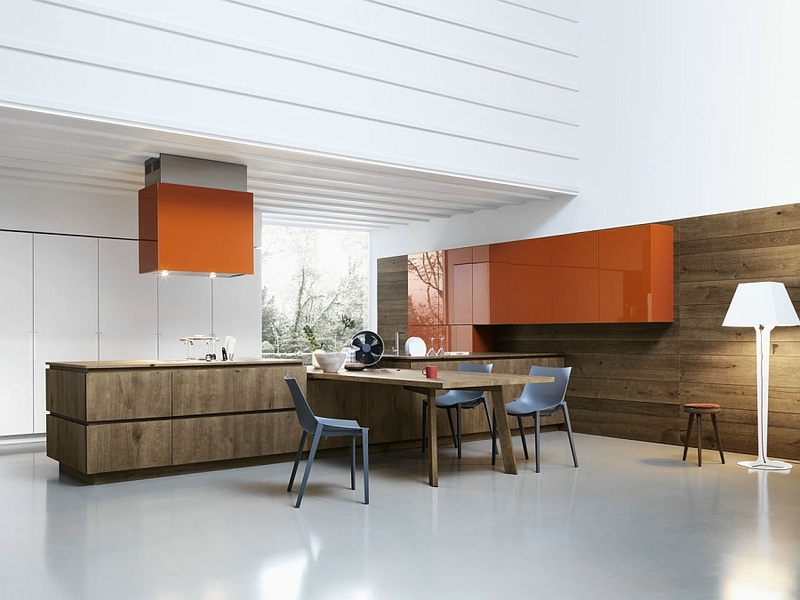 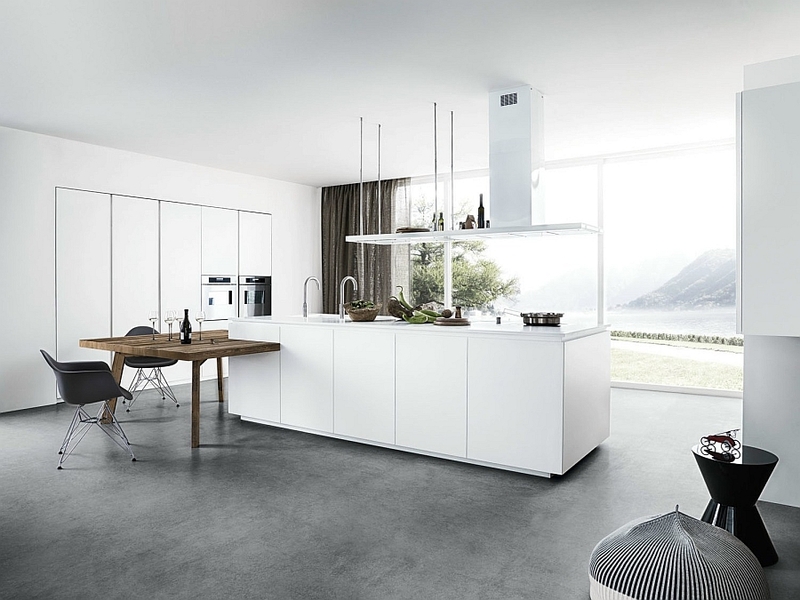 Designed with immaculate style and featuring a myriad of textures, Cloe by Cesar is a modern kitchen that should instantly appeal to those who love minimal design and interiors. 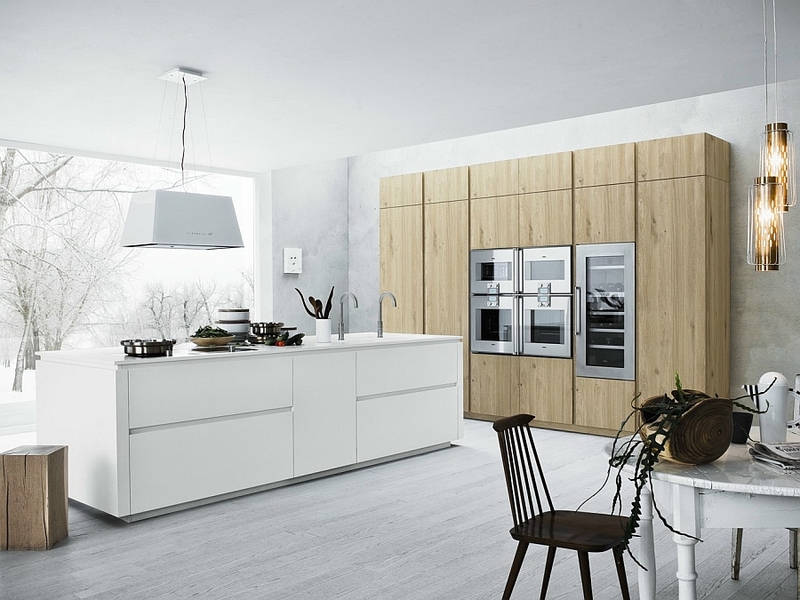 Crafted with sleek elegance, its clean and well-defined lines ensure that your contemporary home gets a kitchen in matching style. 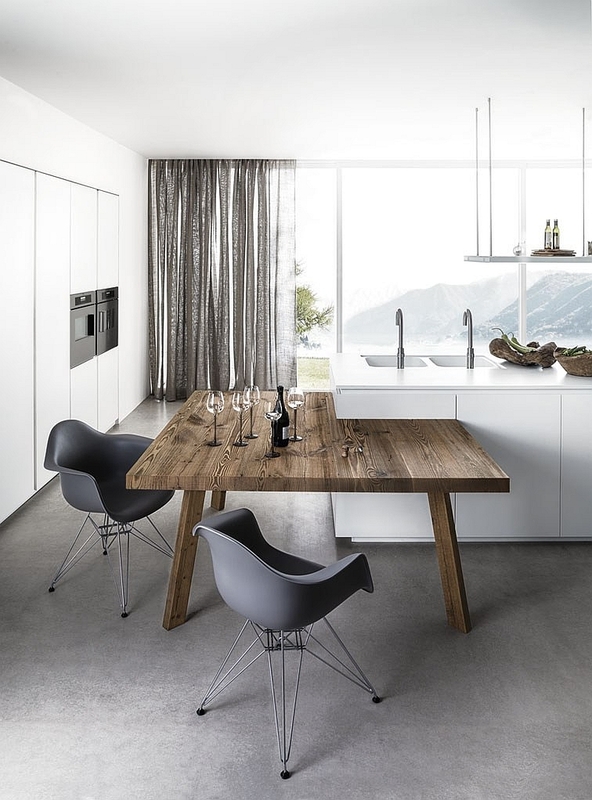 While maintaining a minimal appeal, Cloe drives away any sense of blandness or monotony by combining different materials that surprise you with their textural variance. 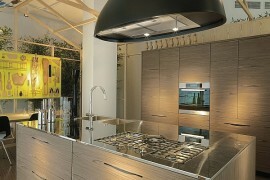 Knotted oak cabinets are coupled with eco-cement surfaces to paint a truly exceptional picture. 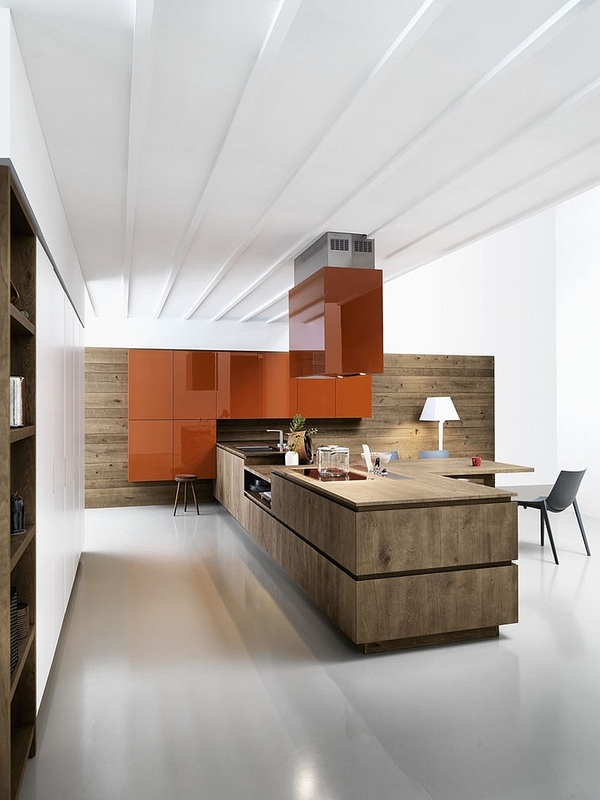 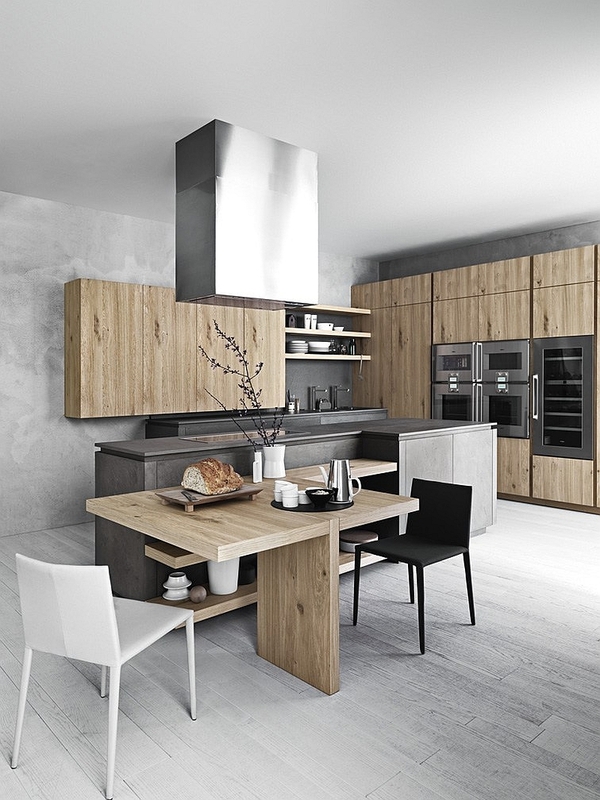 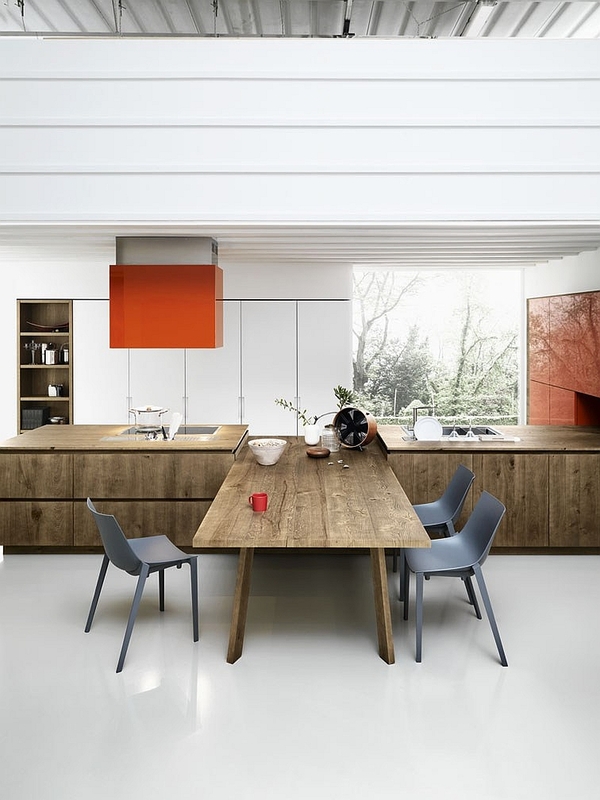 Each knotted oak kitchen is specially treated with vegetable oils and waxes, and you can choose between either an unfinished look or polished lacquered surfaces. 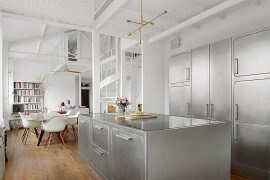 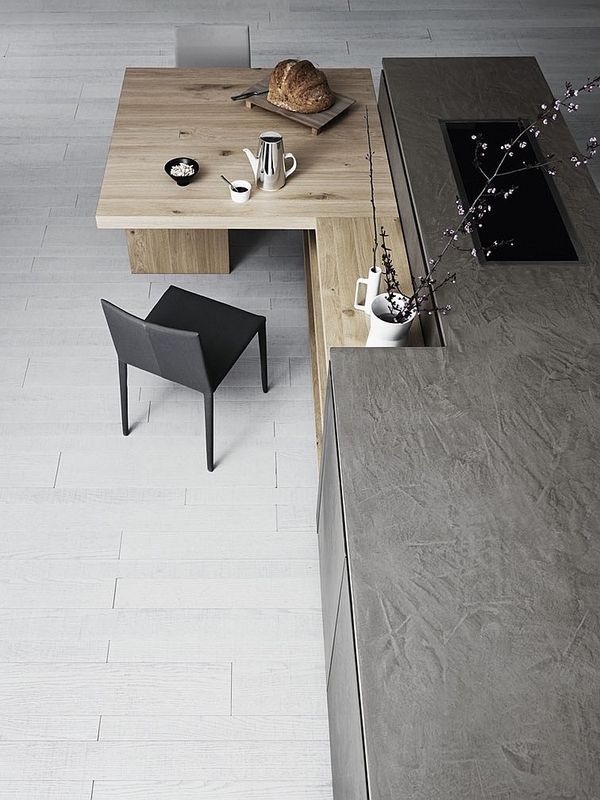 The eco-cement obviously brings a certain industrial vibe to this lovely kitchen. 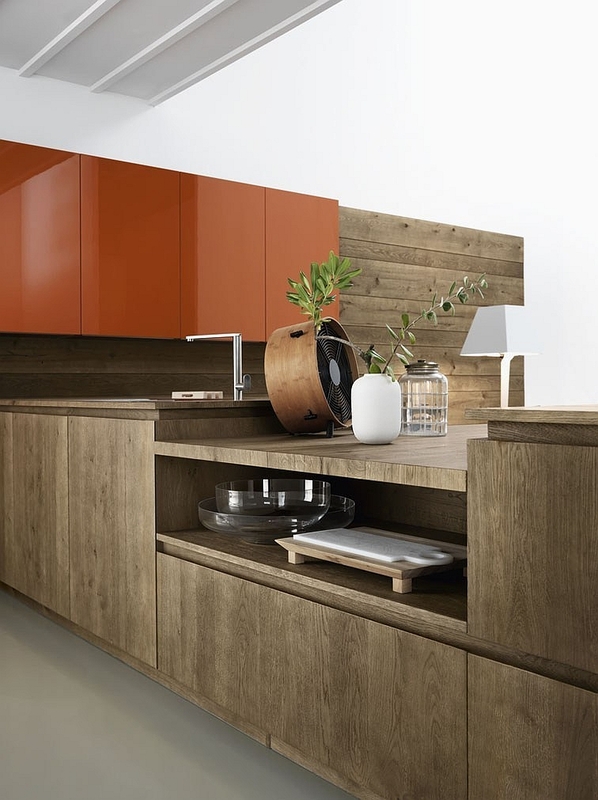 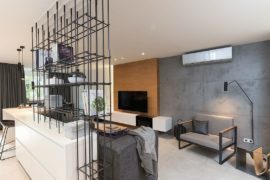 The handle-less look of the cabinets, many customized options and even the cool entertaining area make it a complete modern kitchen that serves all your needs. 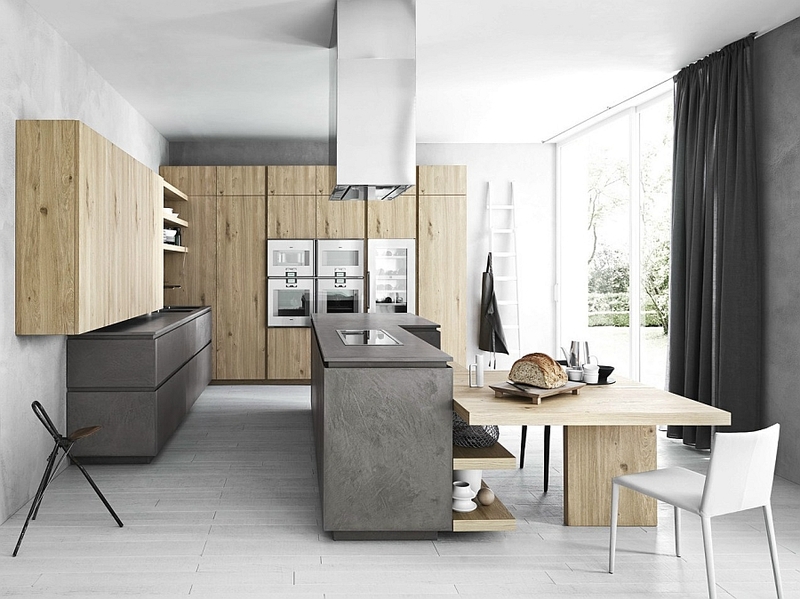 Boasting scratch-resistant and waterproof credentials, this kitchen is even available in a VIP version offered in olive, rosewood or ebony. 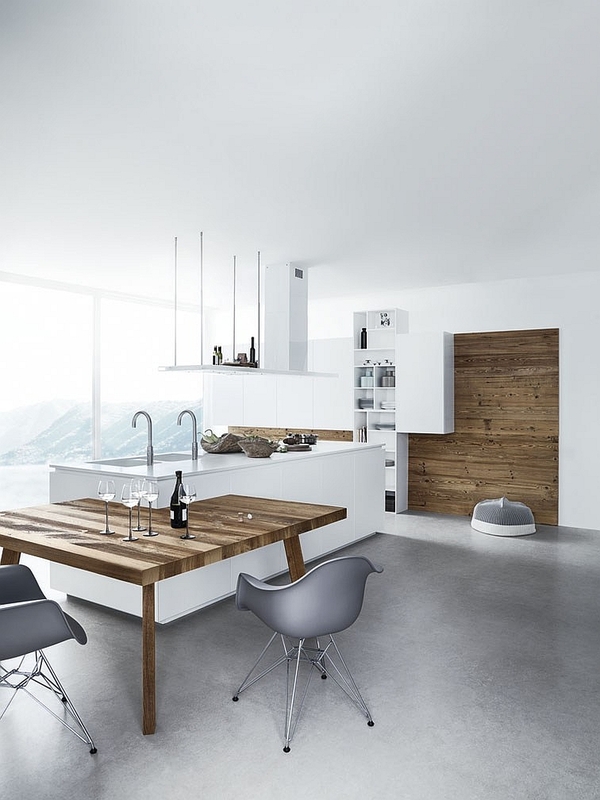 A delightful kitchen in every sense of the word!